Eric Michael Zorr, 43, of Sioux Falls, SD, formerly of Austin, TX; Richmond, VA; and Dell Rapids, SD, passed away unexpectedly, Thursday, April 19, 2018, at his home of natural causes. His Memorial Service will begin at 1:30 p.m. on Wednesday, April 25, 2018 in the Lutheran Church of Dell Rapids. Visitation with the family present will be from 4:00 p.m. - 7:00 p.m. on Tuesday, April 24, 2018 at Kahler Funeral Home, Dell Rapids. Eric was born November 13, 1974, in Minneapolis, MN to Tom and Barb Zorr. He was a much loved and active child. During his early years, the family lived in Crystal and Long Lake, MN before settling in Dell Rapids in May of 1990. He graduated from Dell Rapids High School in 1993, where he was active in many school activities, particularly drama, art and journalism. He attended SDSU and Virginia Commonwealth University, majoring in art. Although he never completed his degree, Eric was a passionate and prolific artist for the rest of his life. 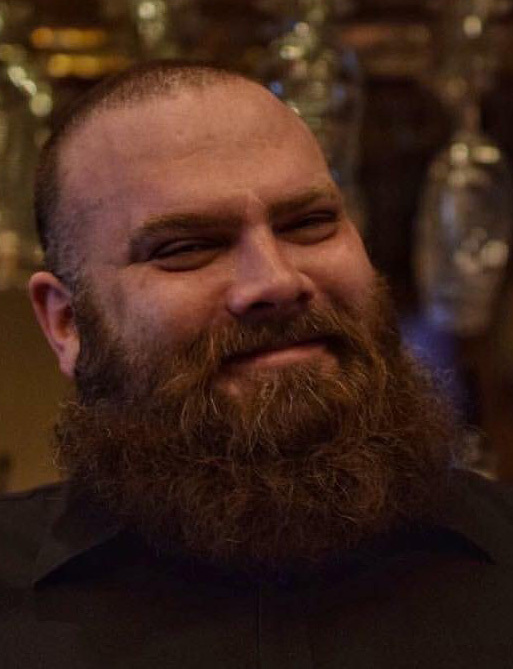 Eric found his calling serving his customers and his “regulars” as a bartender at many locations in each of the cities he lived in. Eric could talk to anyone about a wide variety of subjects, from alternative rock to jazz, sports to politics, and almost anything in-between. His varied tastes and experiences allowed him to connect to almost anyone from any walk of life. He was beloved by his family, co-workers, and his many, many friends from around the country. He deeply adored his nieces and nephews, and spent a lot of time with his family, particularly his parents, since returning to the Sioux Falls area, after many years living in Austin, TX. His loss has left a void in the lives of those who knew him that can never be filled. Eric was preceded in death by his sister Rhonda, brother Joseph, maternal grandfather (Joe Chancellor), and paternal grandparents (Ray and Marie Zorr). He is survived by his parents, Tom and Barb Zorr of Dell Rapids; his brothers, Tim (Valerie) of Akron, IA, and Todd (Melanie) of Omaha, NE; his sister, Amanda (Scott) Plummer of Aberdeen, SD; four nieces, Mara, Jenny, Olivia and Abby; four nephews, Marcus, Caiden, Jack and Asher; his grandmother, Blanche Quincey of Dell Rapids and countless friends and relatives who loved him.